You might be interested to check my previous sample about CRUD implementation in JET - Handling ADF BC 12.2.1 REST Validation in Oracle JET. 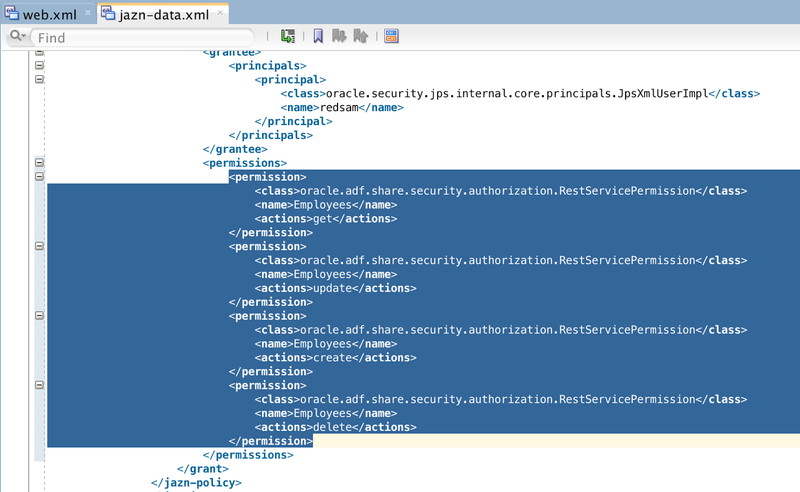 I'm going to describe how to access secure ADF BC REST service from JET, based on the CRUD sample app. We need to pass authorization header on each REST request, this way server can authenticate user and authorize access to the REST resource. There are couple of other tips applied on ADF BC REST service side, all described below. 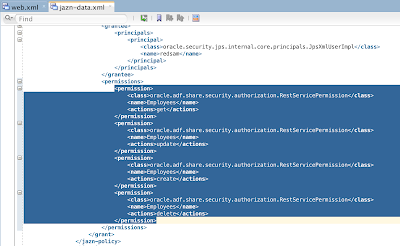 Blog reader rjahn shared a link in this blog comment - Oracle JET - Rendering Table from ADF BC REST Service, he describes how to pass authorization header using oauth property, while executing GET and fetching collection in JET. 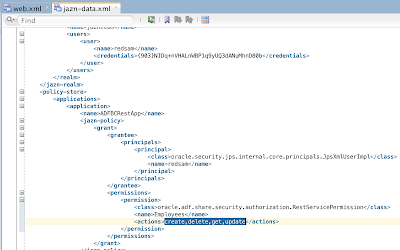 I'm using same approach for GET, but for PATCH, POST and DELETE authorization header is set in slightly different way. Download sample application (JET and ADF BC code) - JETCRUDApp_v5.zip. You should include JET code into JET toolkit distribution. You state that using HTTPS is secure (which is true for the headers) but you need to store the credentials client side because you need them for every request. As far as I know this can't be done in a secure way ? 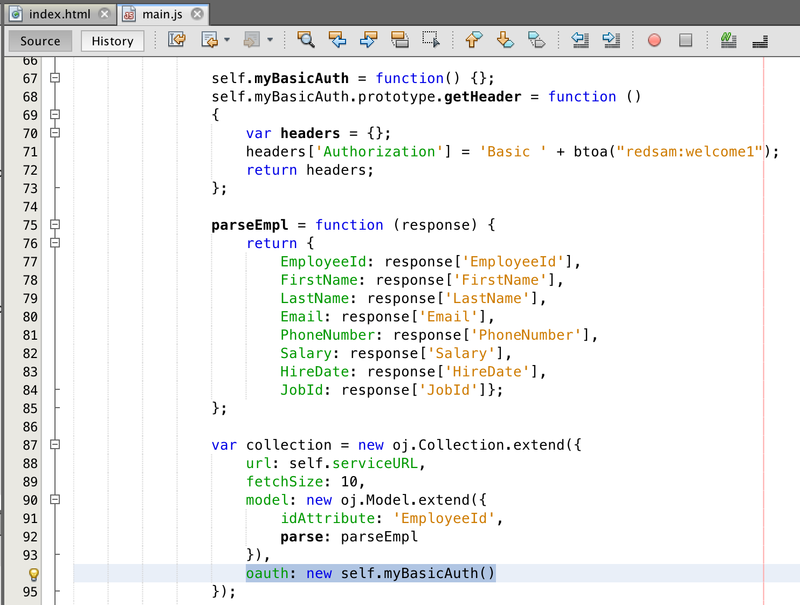 Note: If I comment //self.collection.refresh then the salary validation message shown, but the collection is not refreshed. It is working fine after putting the parenthesis. Probably API was changed in newer JET version. It worked before. Thanks. I would like to pass an Authorization JWT token in all my REST calls. 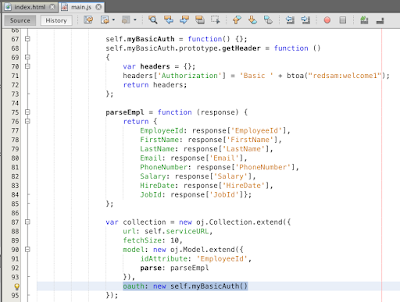 I tried the following code and it works fine but when I call collection.refresh, I get 403 error again. 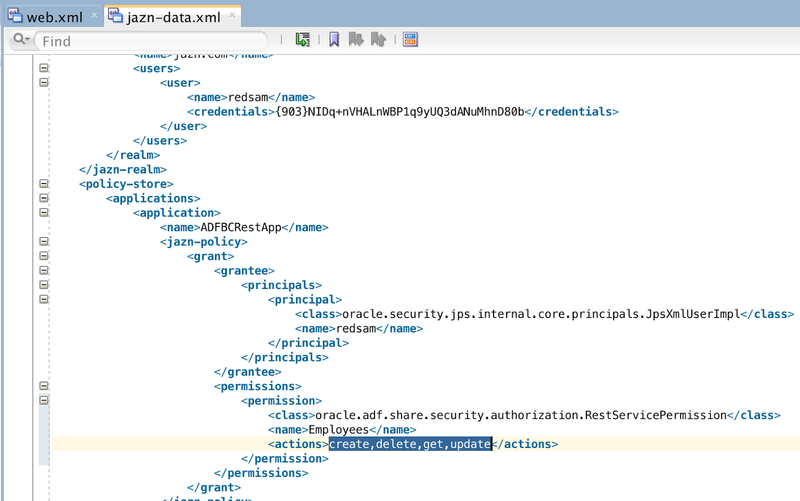 Can you tell me how to add Authorization header in oj.Collection so that all operations pass this Authorization token?